Under the United Kingdom's Distance Selling Regulations you have the right to cancel your order for any product purchased from www.palette-london.com, for a full refund or exchange. However, if your order has already been processed, you will need to return the order to us. 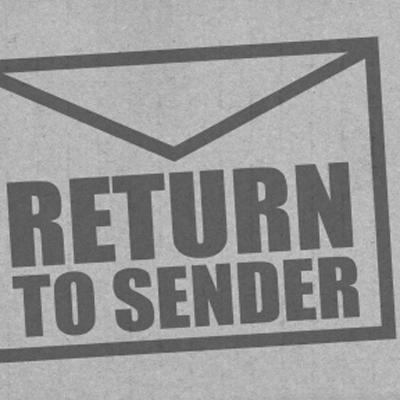 Upon receipt of the return, we will deduct the cost of outward mailing from the sum refunded. 1. If you wish to exchange or return a product, please email us at info@palette-london.com, entitled ‘I wish to exchange / return a product’. 2. Please ensure that the product is returned to Palette within 14 days of receipt and ensure that the product is returned in fully resale-able condition and with all of the original tags attached along with product packaging, including shoe boxes. You must enclose with your return a copy of your 'Order Confirmation' email. We will not accept returns for: (a) failing to email Palette at info@palette-london.com to confirm your decision to return a product order (b) failing to include with your return a copy of your 'Order Confirmation' email (c) any non-faulty product that has been worn (d) product tags removed (e) failure to include product packaging (f) failing to return the product order within 14 days of receipt. If any or all of these requirements are not met, we reserve the right to refuse a refund on the product order. Please note that we take a photograph of each product before it is prepared for despatch. 3. Please note that the outward mailing / shipping costs are not refundable along with any customs duties that may occur when returning your product from outside of the European Community (EU). If you are returning a product from outside of the EU, additional duties and taxes may apply. These charges are your responsibility and must be paid in order for us to receive your item. We advise that you contact your chosen postal service provider for further information. 4. Please ensure that you have printed out and enclosed your ‘order confirmation’ email with the return. This will enable us to process your return / exchange quickly and efficiently. 5. It is your responsible for the cost of returning the product to Palette. Please also note that when you request an exchange, the mailing / shipping costs to re-supply that exchange, will be your responsibility. We will advise you of that cost accordingly. 6. The product is your responsibility until it reaches us. For your own protection, we recommend that you send the parcel using a delivery service that insures you for the value of the goods. Please ensure that your Name and Address details are clearly labeled on the reverse of the package.